"Cabbage Soup Diet. ".....Worth It or Not? Now tell me, if you, me or just about anyone lived on a lose weight soup diet and water for 10 days do you think any one of us would lose weight? Weight loss becomes weight gain usually within the first month after quitting the cabbage soup diet. For the same reason all the others stray-from-the-norm diets fail you are too far from the normal foods you eat. Who among us “Mac Donald loving Americans,” eats cabbage even once a week? Because I make homemade soups frequently, This vitamin packed veggie is on my grocery list. Should be on yours as well. 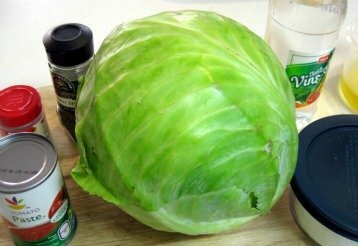 CABBAGE SOUP DIET..........Cabbage is Fantastically Healthy!! But not solely the only food on your list. If you have been eating a diet that is high in sugar and refined foods, making the switch to eating lots of vegetables, fruits, brown rice, lean meat and dairy is to far a jump. At the very least, you will begin to lay the groundwork for a more healthful diet in the long run, but an average American won’t stick with it for long. Eat only fruit, except bananas. Drink unsweetened tea, black coffee, cranberry juice, and water. Eat as much soup as you like. Doomed! Fresh, raw, or cooked vegetables of your choice. No dry beans, peas or corn. Eat a big baked potato with butter for dinner. Eat as much soup as you like but no fruit. Day Three: Combine days one and two, eat as much fruit, vegetables, and soup, as you like but no baked potato. Eat up to eight bananas and drink skim milk along with soup. Day Five: You get 10-20 ounces of beef and up to six fresh tomatoes. Drink at least 6 to 8 glasses of water. You can eat broiled or baked chicken instead of beef. Eat brown rice, unsweetened fruit juices, and vegetables, eat the soup at least once today. No bread, alcohol, or carbonated soda. The diet lasts one week and is said to result in weight loss of about 10 pounds. While it does produce quick weight loss, the loss is water, not fat. You’re likely gain back the weight after returning to your normal eating pattern. Most people do not lose 10 lbs as purported by the advocated of this diet. 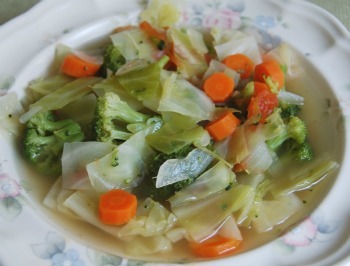 Many individuals report feelings of weakness or other ill health, such as headaches, while on the Cabbage Soup diet. The reason for this is that the caloric intake is very low, and the full range of nutrients that people should have as part of their everyday diet simply doesn't exist. It also cuts out a good amount of nutrients along with those calories. The extremely restrictive nature of the diet makes entire food groups off-limits on certain days. This diet makes you irritable and tired. In 7 days I lost 5 lbs, gained it back in a month. The problem with diets like these unless you are also exercising you rear off you won’t take weigh off that fast. Plus once your body get wind of not enough she and he go into starvation mode…fat stays, muscle and water go.